Youths who qualify for financial assistance to attend Digital Media Institute at InterTech’s (DMII) summer camps may benefit from tuition assistance made possible by a Best Buy Foundation grant. This Foundation donation is made possible through the contributions of Best Buy Co., Inc. retail store operations and special event fundraising. The Foundation’s primary goal is to give teens access to opportunities through technology that helps them excel in school and develop 21st century skills for their future careers. DMII’s camps provide an introduction to the ever-growing digital media industry through hands-on experiences in a cutting-edge environment and by using the latest technology. With a focus on serving minority, female and low-income students, among others, the camps offer an entry-level opportunity for young people to understand the basics of animation and visual effects and how to make a basic video game using the same professional level programs the industry is using. DMII offers two camps each summer based on its two certificate programs. Game Development Camp will take place June 10-14, 2019, and Animation and Visual Effects Camp will be July 8-12, 2019. “For some, the camps may simply provide a fun and rewarding summer learning experience, an opportunity for those who love to play video games to develop a better understanding of how to make them. Others may decide to use their learning as a platform for pursuing continued education – whether at their local high school, by applying and returning to DMII, or by pursuing other training and education opportunities,” said DMII Executive Director John Miralles. As society’s reliance on technology grows, careers in the technology field also will grow, thereby making related skill development at an early age a valuable and necessary component to continued economic growth. Animation and Visual Effects Camp gives students five days of hands-on experience with the art and craft of animation and visual effects. 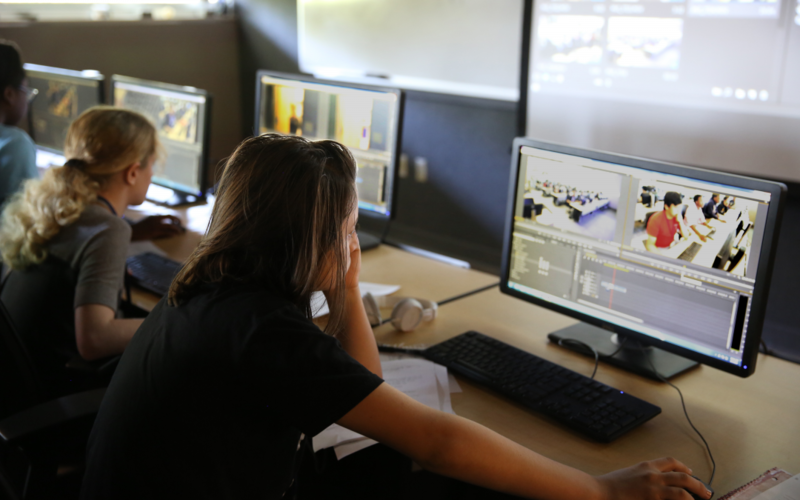 Students use DMII equipment and programs, including the 1,600-square-foot green screen studio, Adobe Photoshop, and Adobe After Effects, and learn to create their own animation and videos. Using their new skills, students develop several small projects throughout the week. Game Development Summer camp provides students with hands-on experience in making video games through the Unity technology platform and Visual Basic Studio. Students learn the fundamentals of game design and development by building several small games throughout the week. Their experience culminates with the creation of original small team projects, which they will present to students and instructors for judging in an informal competition. To learn more about DMII’s summer camps or its two accredited certificate programs, visit www.dmi.edu or www.dmi.edu/summer-camps, or call 318.213.0788.